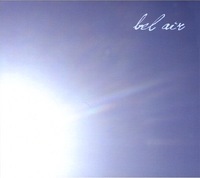 Bel Air‘s debut album Pole To Pole is the soundtrack to the smokey barroom. The harmonica speaks its own language on a disc such as this one. And with ground breaking lyrics (by a surprisingly effective trio of writers) and a great mixture of blues, rock, blues-rock, and rockin’ blues, this team of Brooklyn a go-go musicians have easily created a solid collection of roots inspired songs. For a gathering of basic country-inspired ballads and old school folk good timers, Pole To Pole is advanced in it’s own right. Although you can judge the basis of the album from the opening track “Used To Believe”, there is never a dull moment on Pole To Pole. Like a freshly injected vein, the flow hits you with such a mesmerizing force that you are left stunned by the incapacitating effects of what seems so simple. But, when the complexities form, simplicity is deflated and you are hooked. Finishing Pole To Pole is similar to the feeling you get on a Thursday night around 11PM after NBC has aired all your favorite programs. You’re left begging for more. You may even wish to watch the same thing over again, just to relive the exceptional joy that just dissipated from your living room. But, like the modern miracle of TiVo, all you have to do is twist your thumb along your magical iPod, and the heroics of Bel Air can again flow through you like a third world disease. Pole To Pole is available now on CD Baby.